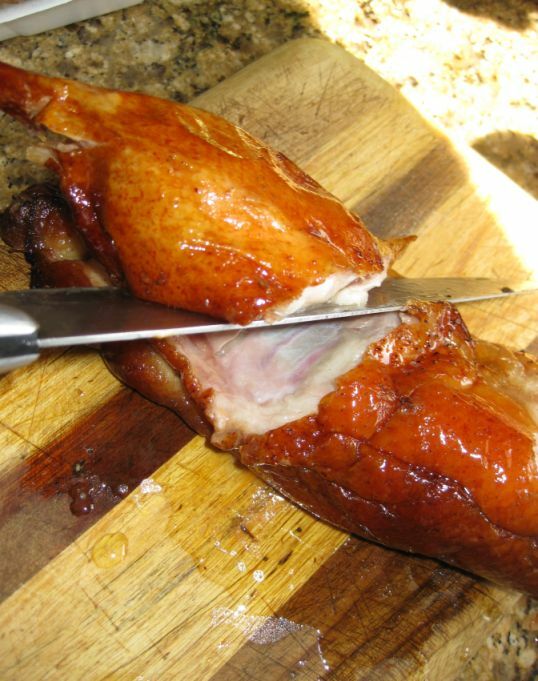 Crispy duck with port and wine reduction is a dish from Morimoto!. This dish is one of Morimoto's famous dish known as Duck, Duck, Duck because it has roasted duck, foie gras, and fried duck egg. The dish is inspired by Peking duck but Morimoto put his own spin and takes the dish to another level. 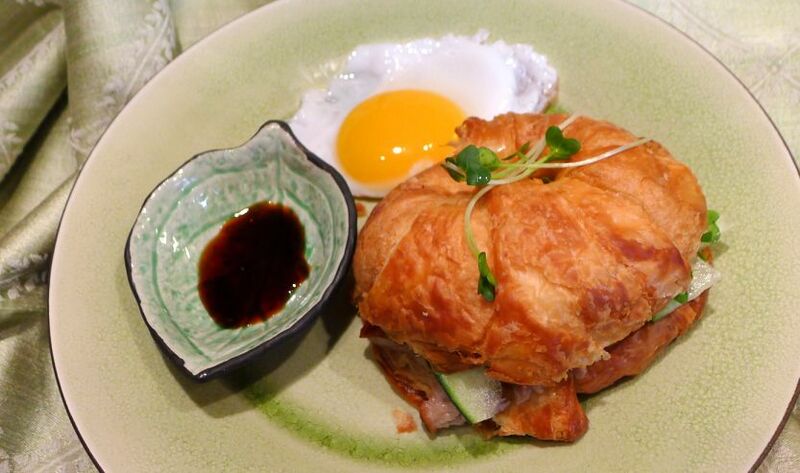 Morimoto use the croissant as a sandwich and then fill it with roasted duck along side with a generous piece of canned foie gras and then is served with an intense port and wine reduction sauce. This is the kind of dish that the ingredients looks familiar but the end results is totally surprising and satisfying. 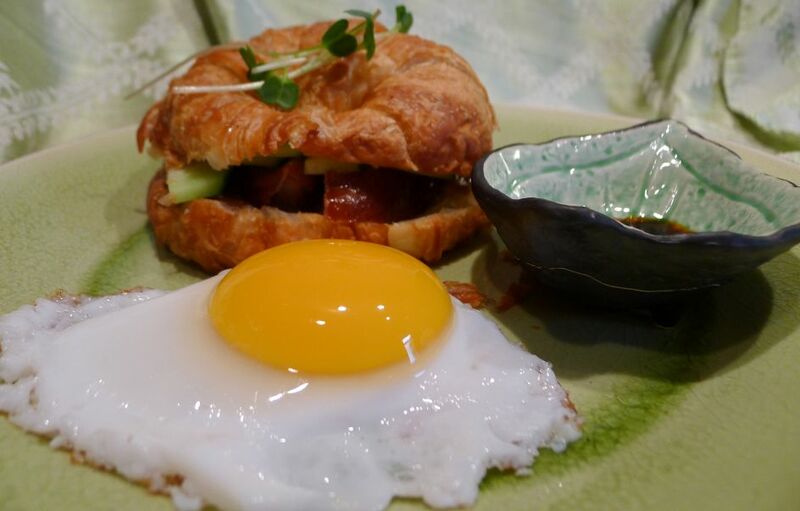 You can't go wrong with a fried duck egg and buttery croissant filled with roast duck and like it is still not enough you bite into a rich and creamy morsel of foie gras! It is just heavenly. 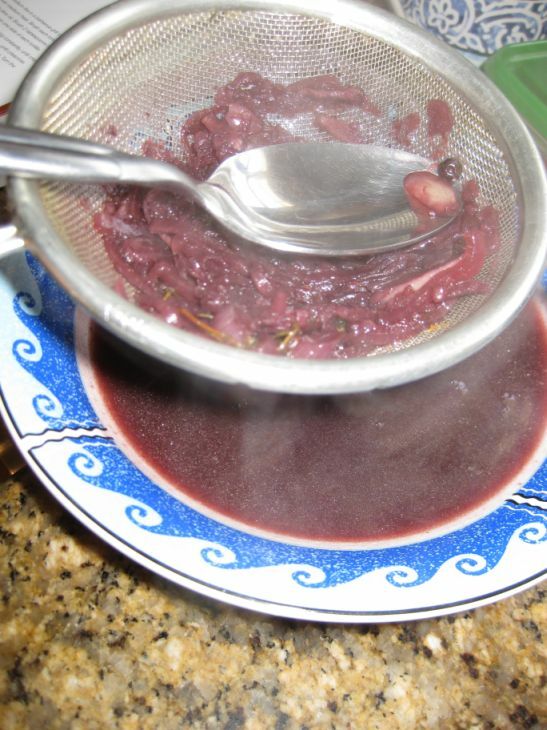 The port and wine reduction is sweet and compliment the roast duck so well. 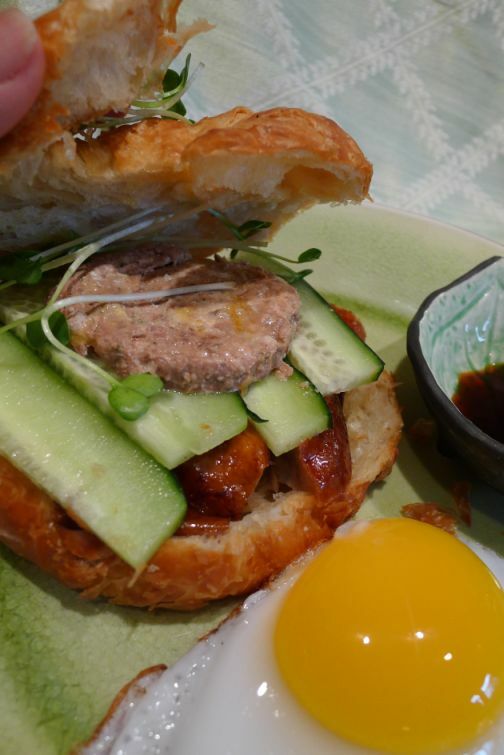 next you crack the egg yolk and dip you croissant in it- simply delicious! I though Morimoto was so cleaver to put this dish together and it works so well! 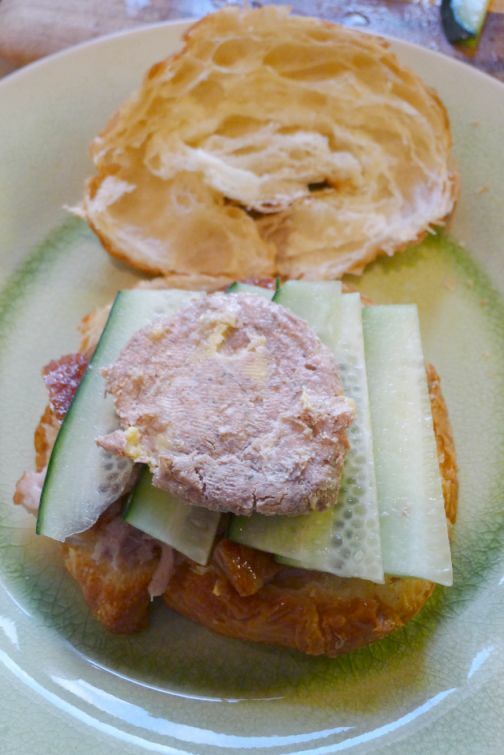 1 large can of foie gras divided into 8 slices. 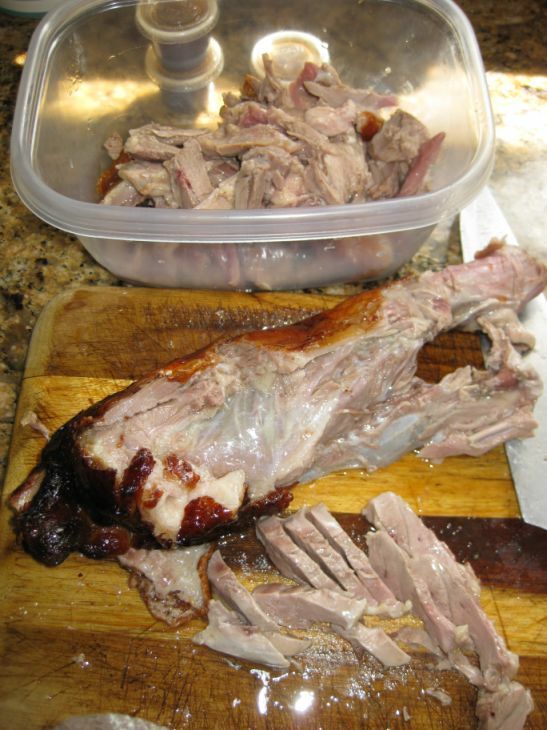 The recipe call for roasting your own duck but I took a short cut and bought ready made roasted duck. Separate the thighs and wings from the body. Cut the meat in small slices and set aside. 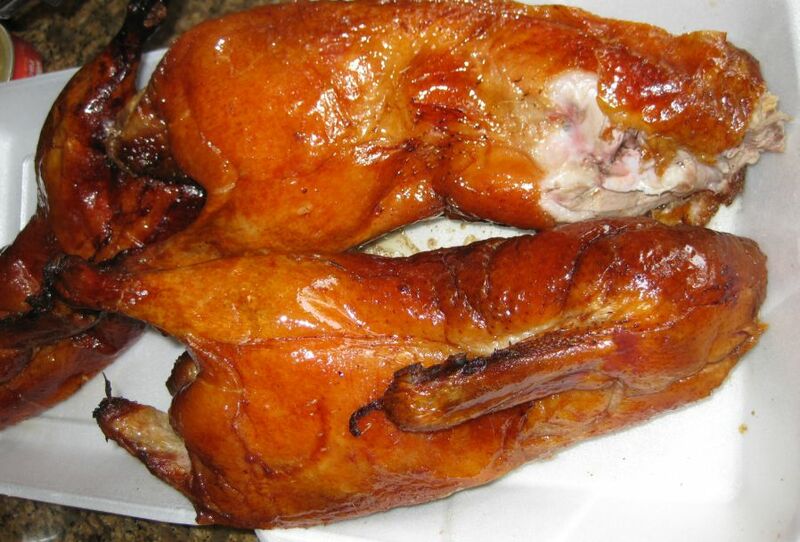 Save the skin so you can roast in the oven and they will become crispy again when you are ready to serve. 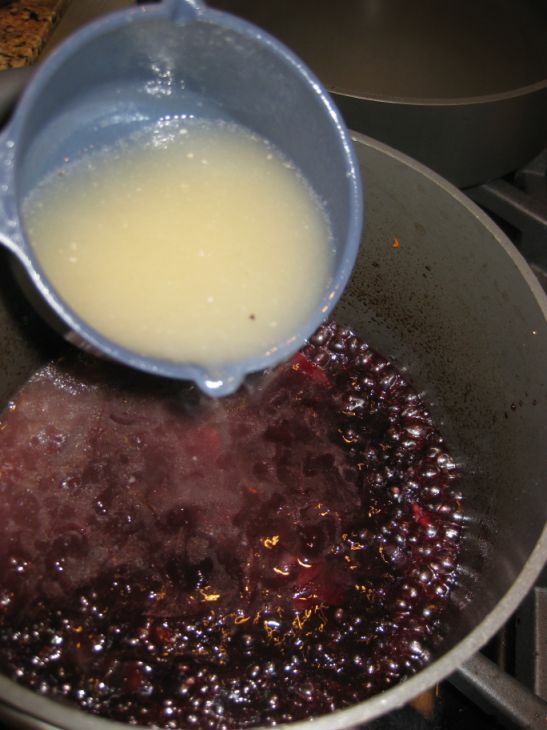 Prepare the port and wine reduction sauce. Heat the oil in a small saucepan over medium heat. 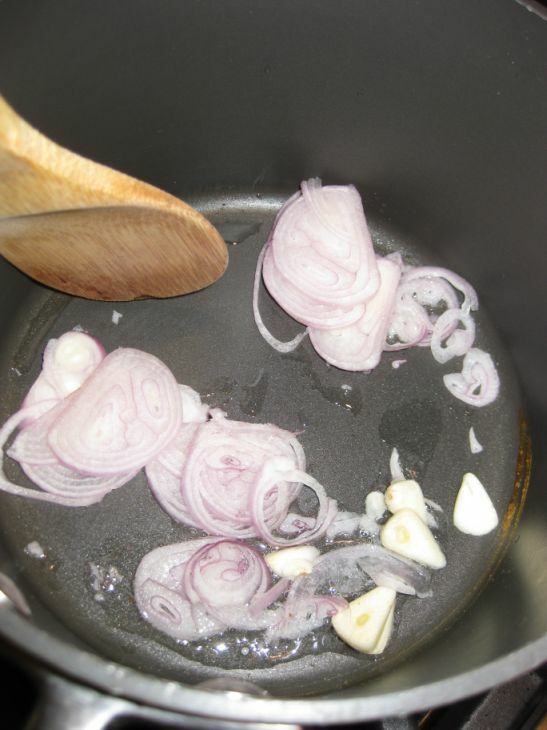 Add the shallot and garlic and cook until the shallots softens, about 2 minutes. Add the port, red wine, thyme, and peppercorns. 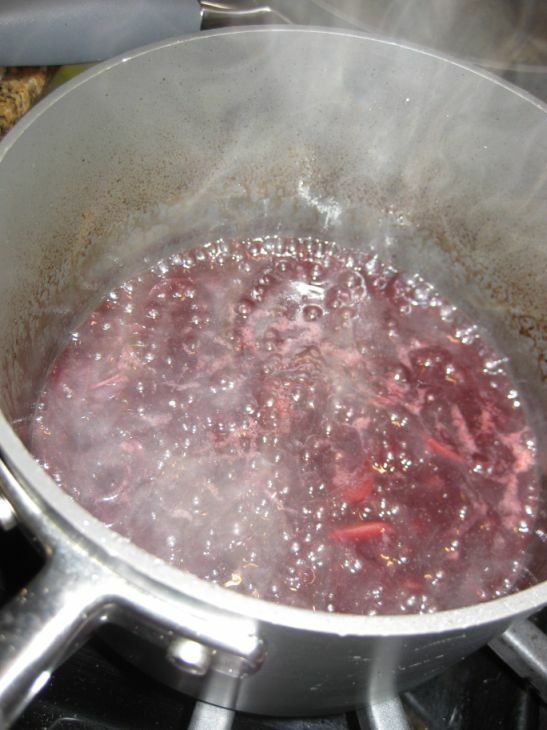 Bring to a boil over high heat and boil until the liquid has reduced to 1/2 cup. Ad the duck stock an boil until reduced to 1 cup. Turn the heat down to medium low, it takes about 3o minutes for the sauce to reduce. Pour the sauce into a sieve. 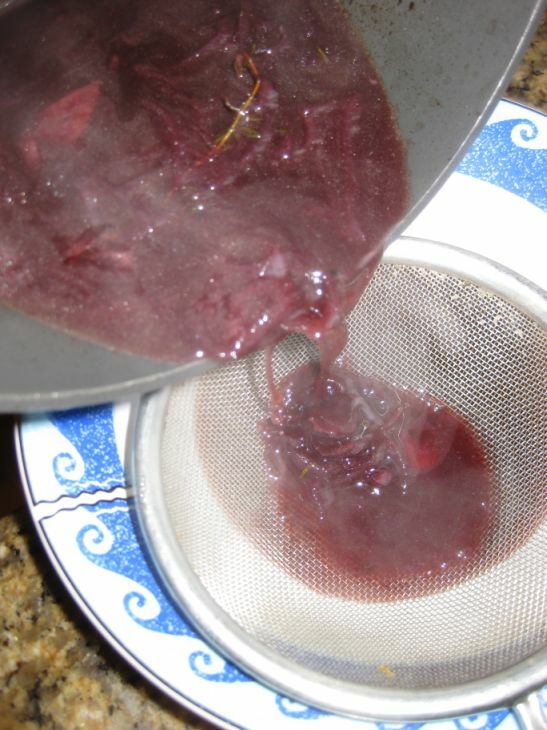 Strain through a sieve and press down to extract of the sauce. Set aside and reheat when ready to serve. 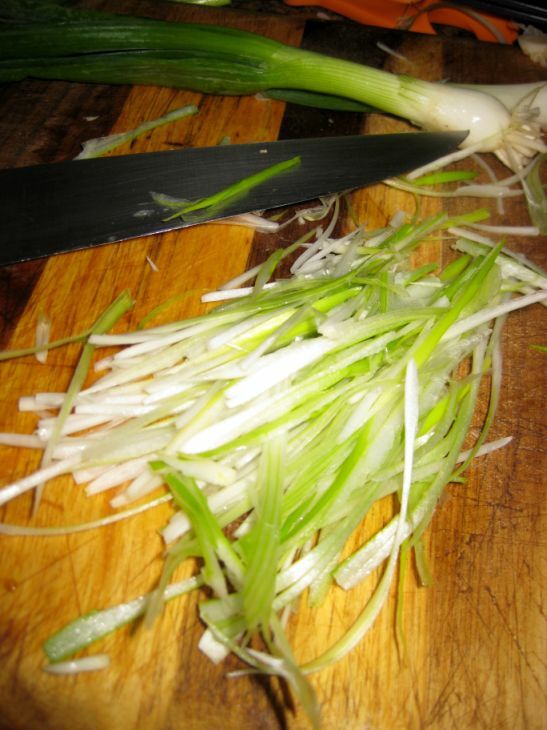 Cut two scallions into thin strips about 1 inch long. Buy the best croissant you can and re-heat them in the oven for about 5 minutes. 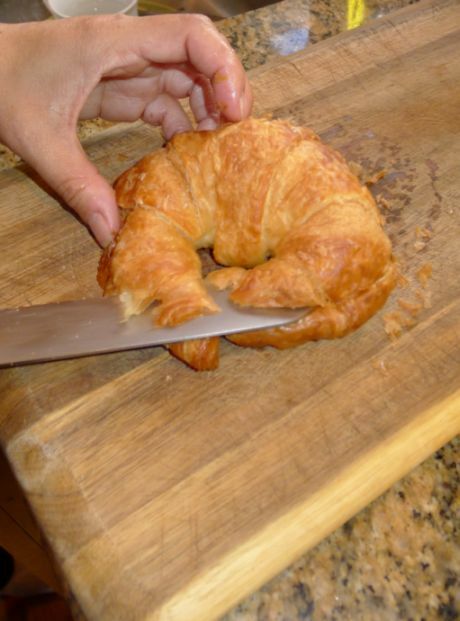 Use a serrated knife to cut the croissant. 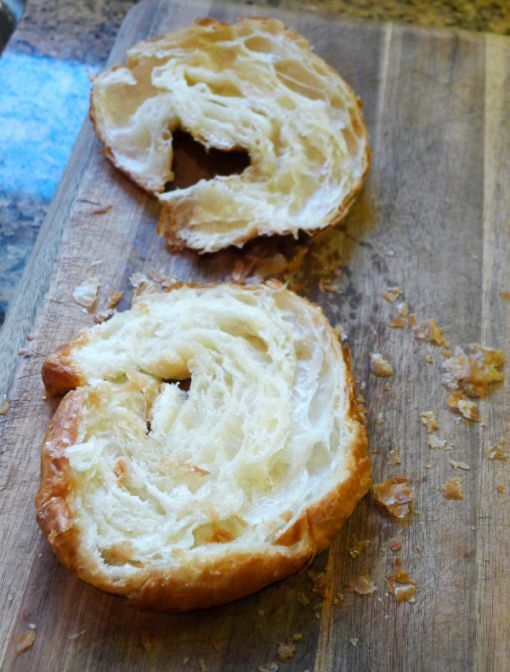 Cut the croissant cross wise in half. 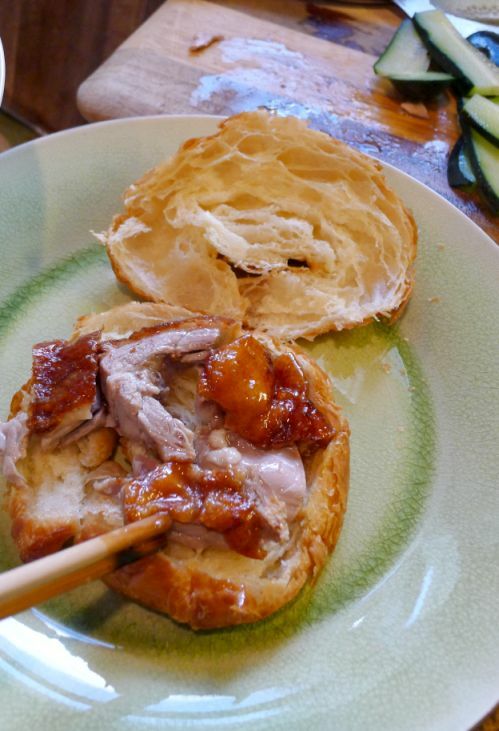 RE-heat the duck in the microwave and fill the croissant with the roasted duck. 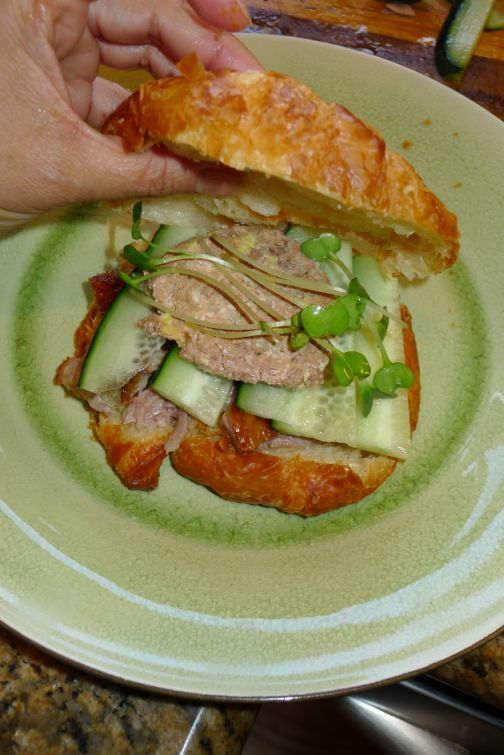 Add a layer of cucumber of top of the roasted duck and add a piece of canned foie gras. Add a few daikon sprouts and strips of scallion. Put the other half of the croissant on top. 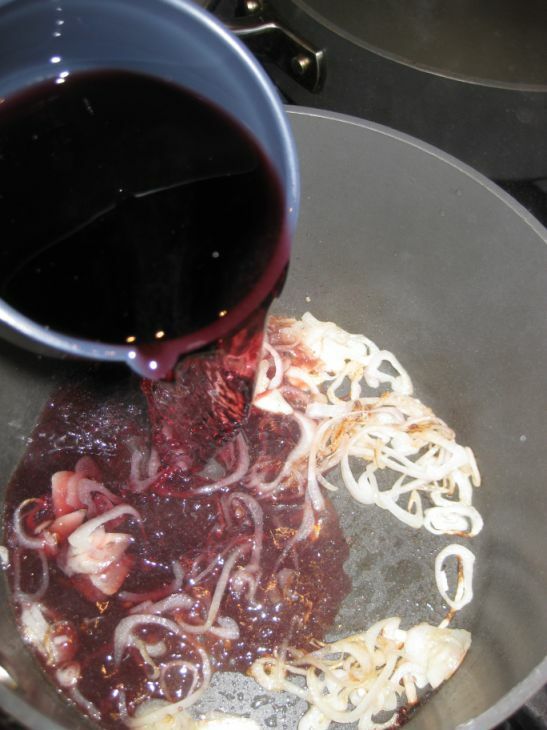 Pour some port and wine reduction sauce in a separate bowl and it is almost ready to be served. 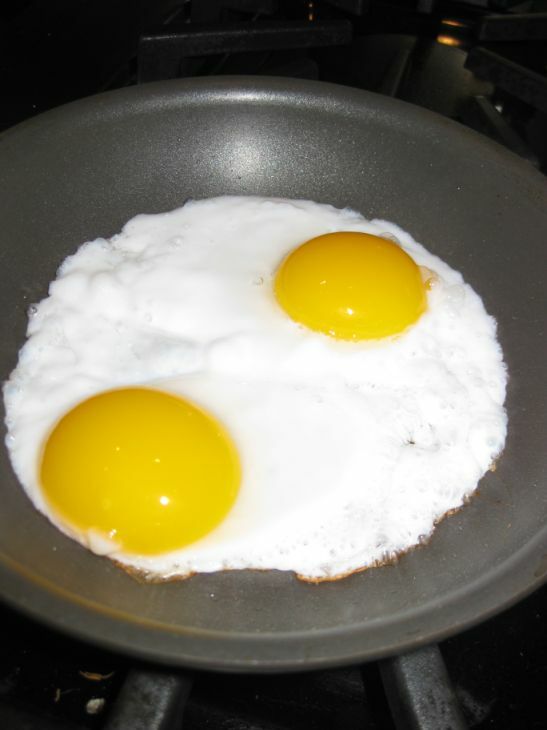 Pan fried the duck eggs in a skillet. 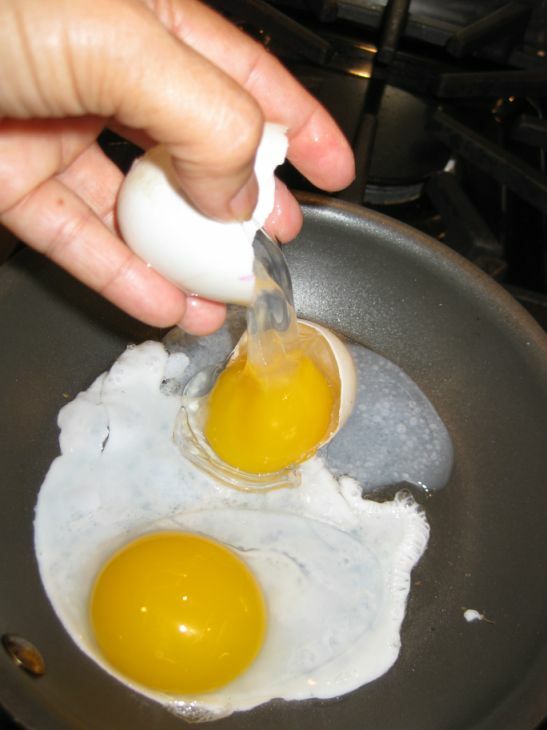 Cook your egg the way you like. I like sunny side up so that's what I am doing here. 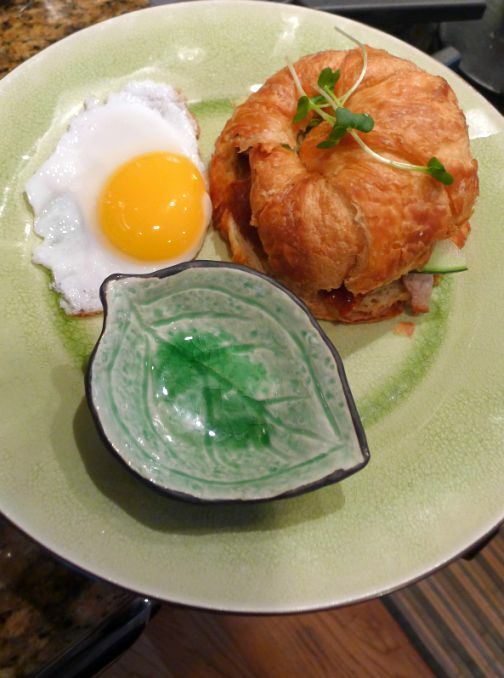 when ready to serve you can cut trim the white part and serve it with the croissant.